Light Saber Keys | OhGizmo! 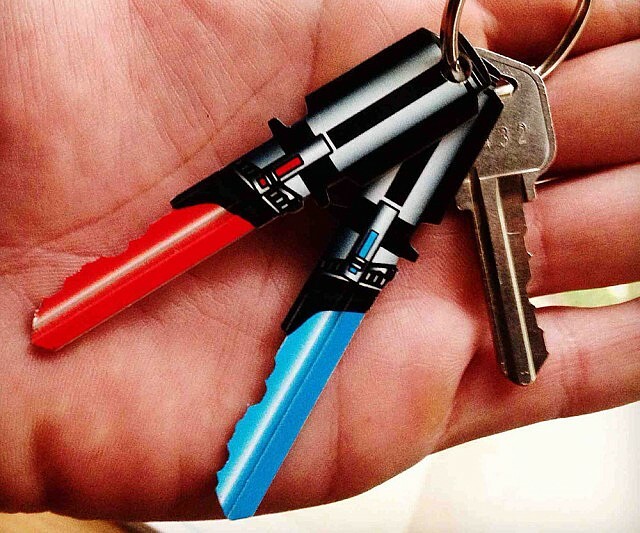 We suppose you could paint your own keys and pretend they’re “light saber keys” too. But what’s the fun in that? These blanks have already been painted for you, and they come in KW1/KW10, SC1 or WR5 types. Order a pair and go to your local hardware store to have them cut for you. It’s $10 for a pair, which is really not expensive considering you want them pretty badly.